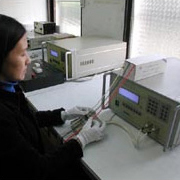 Our QC operation is conducted 100% in-house. It consists of production staff who are engineers, technicians trained to perform QC inspections. From the procurement of raw materials to each stage of production, rigorous inspections are performed. Random checking of products is conducted before and after packaging. 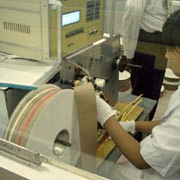 A final check is made just before delivery to ensure zero-defect products. QC equipment includes IR test machine, curve tracer, VF test machine, PIV test machine, Trr test machine.